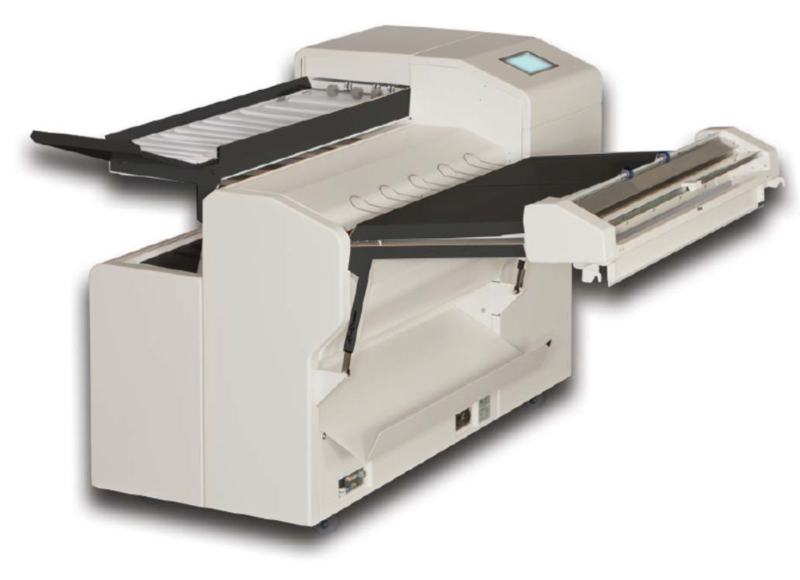 The KIPFold 1000 is a compact but powerful online folder designed to easily, conveniently and quickly fan fold documents with KIP 70 Series print systems. Folded documents packets are crisp and professional, ready for distribution. This in-line paper folder is environmentally friendly, making it ideal for decentralized production environments. The KIPFold 2000 system automates wide-format document folding requirements by providing folding, stacking and collation in a compact design. KIP online folders intelligently communicate with KIP printers and are fully integrated with KIP software applications & printer drivers to provide seamless workflow integration.